On Saturday, August 2nd, my wife Candace and I arrived at Rome’s Fiumicino Airport for our flight (AC1921) to Montreal. We were early, as we wanted to make sure we had time to check our luggage, which was comprised of two 6-pack boxes of wine (10 bottles of wine in total, with 2 bottles of olive oil in there as well). These bottles were enclosed in proper thick corrugated paper boxes as well as individual, firm styrofoam travel containers within the boxes – good quality wine shipping boxes. When we arrived at the check-in counter, we were told by the agent that we could not check our wine in for the flight. I questioned this, telling the agent that I fly on Air Canada quite often and that I also frequently travel with wine. I regularly travel to San Francisco for work – and do so using Air Canada every time I can. I also tend to bring wine back each time I travel, so I’m very familiar with checking wine while traveling. The agent firmly informed us that we would not be able to check our wine. Apart from confusing us, this also brought about an increasing sense of panic. I had spent a fair amount of money to buy this wine and had no intention of just leaving it behind. The agent, now acting annoyed and not wanting to offer further assistance, told us that we could walk to Terminal 1 (we were in Terminal 3) to check if the post office on level one was open so we could use them to ship our wine. They weren’t willing to check if the post office was actually open or not. Seeing no other choice, we rushed over there in the heat of the day – only to find that it was closed. As our flight’s scheduled departure was quickly approaching, we rushed back to the Air Canada check-in counter, hoping beyond hope that common sense would prevail and that we would be allowed to check our properly packed wine boxes. Unfortunately, the same agent served us, and in an annoyed fashion, told us that we COULD NOT check the wine. We asked to speak with a supervisor, but were stonewalled there as well. At this point, we didn’t know what to do. I was almost shaking with anger (my wife was on the verge of tears) and was about to take the wine outside to break it into a garbage can. I had reached the end of my rope. There was no way I was going to gift it to the extremely unhelpful Air Canada staff. As I was headed out the door to break the wine in the garbage, my wife told me to wait one minute, as she made a last-ditch effort to seek help at Terminal 3’s information booth. The man working the booth, as well as an airport worker standing nearby who sensed our despair, took sympathy on us and started trying to gather information as to why we weren’t being allowed to check our wine – and what we could do about it. They concluded that a call had been made by the agent and that we were out of luck. They suggested that we try to pack what wine we could fit into our carry-on bags and to then check those bags. We managed to wrap and fit 9 of the bottles of wine, but had to leave the 2 bottles of expensive olive oil and a bottle of wine that we could not safely squeeze into our luggage with the 2 gentlemen who helped us. Luckily, when we returned to the check-in counter, the indifferent agent was gone. One of the gentlemen who helped us had accompanied us to the desk. He had a brief conversation with the agent who was there and our bags were successfully checked. My wife was so relieved and traumatized that she burst into tears and thanked our new friend for all his help. I was numb. What an unnecessarily traumatizing and disappointing experience. Thankfully, what wine we did manage to pack made it home safely for us to enjoy over the coming months and years. We’ll never get to enjoy the other bottle of wine, which we carefully selected at a winery we had visited – not to mention the olive oil we had selected as well. I am normally an Air Canada supporter. I have recently joined your Aeroplan program, and as I have already mentioned, try to fly with your airline whenever I make my work trips to San Francisco (or any other travel in general). This is why I was so startled and disappointed with our treatment at the Fiumicino Airport. I felt I had to write to you about this experience. I can only hope this doesn’t happen to any other travelers who have chosen to fly with you. I would also like to ask how we might claim the wine and olive oil we were unable to bring home with us. We had also paid for the proper wine shipping containers, which we were forced to leave behind. I know we were within our rights. Hey folks. Long time no post… Well, it’s an odd-numbered year, so I thought it was about time to get back to wriiting about wine a bit. God knows I drink enough of it, so here we go again. Over the next while I plan to re-design the site (it’s been too long) and actually make an effort to sit down and put word to screen. 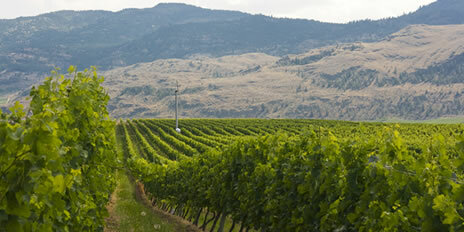 On that note, I was recently contacted by the good folks from our beloved Okanagan Valley’s Tinhorn Creek Vineyards. They’re running a contest to see if you can guess the new wine in their Oldfield Series line-up. If you can, you stand a chance at winning 2 bottles of the new Oldfield Series Wine before it’s released, along with two tickets to Tinhorn’s Canadian Concert Series. Sounds good, am I correct? Entries must be received by midnight, January 14th. Keep reading for more details. 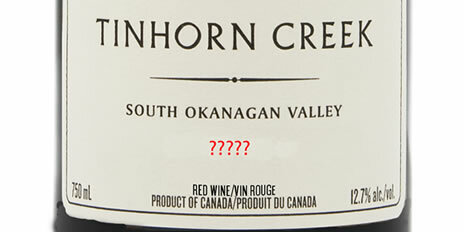 On February 1, 2013 Tinhorn Creek Vineyards in Oliver BC will be adding a new wine to their Oldfield Series line-up, but they are not revealing what it is just yet. They thought it would be more fun to let you try and guess what it is. The Oldfield Series is Tinhorn Creek’s reserve tier of wines, for which they currently produce a Syrah, Merlot, Pinot Noir, a 2Bench Red (a Bordeaux style blend made up of Merlot, Cabernet Sauvignon, Cabernet Franc, & Petite Verdot), a Rosé and the 2Bench White (a blend of Chardonnay, Sauvignon Blanc, Viognier, Semillon and Muscat). So what is the new Oldfield Series wine? If you guess correctly, you will be entered to win 2 bottles of the new Oldfield Series Wine before it is released, along with two tickets to Tinhorn’s Canadian Concert Series. The winning tickets will be to see the high energy and phenomenal musicianship of Jackie Treehorn on June 23, 2013. The coveted annual concert series is a rare opportunity to see some of Canada’s top talent while sipping award-winning wines and enjoying a breathtaking view of the South Okanagan Valley. It’s getting to be the time of year that I find myself sitting at my desk wishing I was on a warm and sunny patio with a dish of mixed olives, some cheese and a glass of dry rosé. From what I’m seeing in the stores, more and more of BC’s winemakers seem to be having the same thoughts. I’ve only tried a few, but some of them, such as the folks at Laughing Stock Vineyards, are getting it right. Laugh Stock’s “In the Pink” is a project done in partnership with The Four Seasons Hotel Vancouver. Their YEW restaurant + bar’s sales manager and sommelier, Emily Patterson recently helped select the blend with Laughing Stock’s winemaker, David Enns. The wine, which is a blend of 70% Syrah and 30% Cabernet Franc will be sold exclusively at YEW for $22 for a bottle and $2 of each sale will go to the Canadian Breast Cancer Foundation. Only 75 cases were produced. 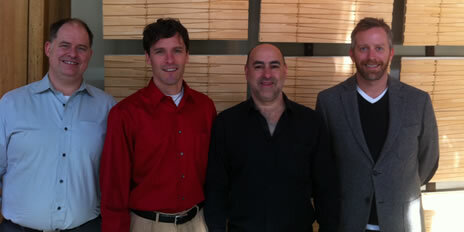 On May 26th, 2011 YEW restaurant + bar will also host the Laughing with YEW Wine Dinner. You can check out all the details on their site. It sounds like it will be a great time. OK, so now that you know all that, you may be wondering if the wine is any good. It is. In the glass, the wine has a pretty pink salmon hue. A sniff filled my nose with strawberry, cranberry and citrus fruit. A sip gave me more of that gorgeous cranberry and strawberry fruit with a crisp finish that lasts for a minute. Well done folks. This is a very nice bottle of wine. Now I just need some sun, a patio and those olives to go along with it. * Disclaimer – I received this wine as a sample. $22 exclusively at YEW restaurant + bar. There are times when the disparate can come together to form something that is much better than one might expect, even to the point of surprise. Like this post, finally being able sit down and write it in the midst of an eighth birthday party at my house. To this point, my experience at the Cape Coastal Luncheon was a great example of the unexpected coming together to make something great. Specifically, value wines paired with great food that enhanced each sample. My experience with the wines of South Africa prior to this had centered around the ubiquitous Pinotage and Chenin Blanc, with mixed results. I had one Pinotage at the bloggers conference last year that had notes of bacon and espresso (a breakfast wine I thought). 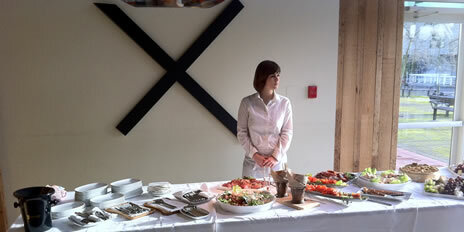 Right from arrival at the Hart House, this tasting was something different. The Brut is a 50/50 blend of Pinot Noir and Chardonnay, and the light mineral on the palate and earthy finish were superbly paired with the trio of appetizers, in particularly the beets. While we enjoyed this, Chris the representative from the Beck winery told us a bit about the life of Graham Beck – certainly worthy of a biography by the sounds of it. 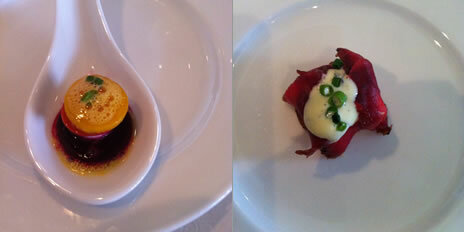 The second course brought the 2009 Nederburg Manor House Sauvignon Blanc and the 2009 KWV Cathedral Cellar Chardonnay. The Sauv Blanc had asparagus and pepper on the nose with a nice apple and green pepper that met the crispy chilies and the radish really nicely. The chardonnay on the other hand was a classic nutty honey vanilla nose with a toasty palate and bit of a hot finish. It picked up the swordfish nicely, but I gave the nod to the Sauv Blanc. The next course brought us to red with a pair of Cabernet Sauvignons. Both cabs were very smoky on the nose, with the 2008 Durbanville Hills having some plum and green pepper that really reminded me of a number of the BC cabs I have had. 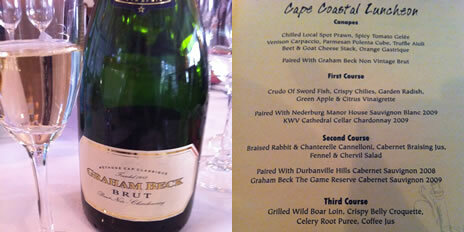 The 2009 Graham Beck Game Keeper Reserve was my pick of the two, as it had a nice meaty palate with well balance oaked that paired with the gamey flavor of the rabbit. Delicious. Course three, brought Bordeaux blends and included my favorite wine of the day. The 2009 Boekenhoutskloof Chocolate Block is very visible in this market and at $44.99 was the most expensive wine on the menu. It has a nice nose of coffee, chocolate and mint with a more coffee, plum and cherry and a tight tannic finish. It was a nice pairing, but the 2006 Glen Carlou Classique truly outshone at less than half the price. The nose was bright cherry with spice, graphite and vanilla and the palate was full of juicy clean red currant and cherry. The finish had some nice tannins and bit of tobacco. 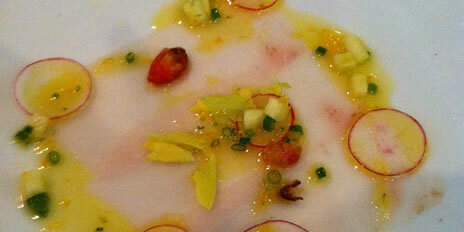 The clarity of the fruit was a beautiful pairing with the boar and also with the earthy celery root puree. 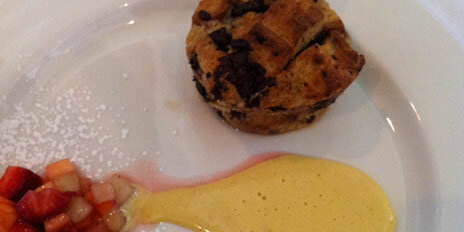 Dessert was delicious, and paired with Amarula Liqueur, however I was happy to continue on sipping the Glen Carlou. As stated, this was a chance for South African Wines to show some new directions and come together with the Hart House’s food to make for a great afternoon. Kudos go to the Hart House and the South African Wine representatives for the excellent service and exceptional attention in pairing the wine and food. God knows I’m not the world’s biggest fan of Merlot. I’m pretty much there with Miles from “Sideways“. When I hear “Merlot”, I think a bit of cherry fruit, bland, vanilla and pretty much nothing else. There’s a lot of that floating around this province, produced here and elsewhere, that fit that description perfectly. Here’s how I happened to pick this bottle up at Marquis Wine Cellars the other night. I was headed out for a long road cycling workout the next day and hadn’t soaked up much iron in my diet in the last week, so I thought a steak would be a great choice for dinner. With that in my mind, I headed into Marquis and was looking for the classic steak pairing: Cabernet Sauvignon. While scanning the Cali section, my eyes landed on this bottle. 2001. From Mayacamas. A Merlot, I know, but I was thinking a Mayacamas Merlot should fit the bill quite nicely. I don’t know if I’d go so far as to call this an Old World style New World wine, but I guess I will. It’s got a funky edge to it that most California producers seemingly try to avoid. Instead of a manipulated and polished vanilla-ness, this wine tastes of the grapes and that’s good thing. Its colour is a dark brick-ish red that doesn’t show any age-driven mellowing around the edges. The nose is an intriguing mix of black olives, tea, plum and dark cherry. The flavours? Wow. The flavours amplify the slightly bitter edge of the dark cherry and finish off with tea-edged dark plum. The finish goes on for minutes. I had it with that steak and experienced one of those happy food-wine moments I wanted to last and last. If you want to try an old-school California approach to Merlot that won’t have you longing for less oak and more flavour, give this a try. $49.90 at Marquis Wine Cellars here in Vancouver. The preview for the Vancouver Playhouse International Wine Festival has piqued my interest in Spanish wine again, directly impacting my shopping habits at the same time. Even out here in the ‘burbs, we are seeing a better variety on the shelves. I picked out this one considering that I love Priorat, and the price was right. I popped this one open the other night and was immediately struck by the inky, almost felt marker hints and pencil shavings on the nose (a teacher’s dream I guess ☺) with some tobacco and dusty currants. All the things I love in the unique nose of Priorat – and this one is a blend of 50% Garnacha, 30% Carignan, 10% Cabernet Sauvignon and 10% Syrah. A few sips brought on loads more currant with some rustic earth and plum. As the evening went on, the plum became more pronounced with some nice spices. The finish was distinctly Priorat in my experience, – long with cherry, chalky mineral and some pepper. A winner all around in my mind as it got better as the night went on. We had this with some nice charcuterie and and cheese – a great complement. I tasted the Les Terasses at the festival night, and as always, it was delicious and well worth the $45. Given this reference point, this one is well worth the $29 price tag. I’m looking for to tracking down many more wines like this in just over a month! $28.99 at the LDB here in BC. It’s been a while since I wrote up a Zinfandel, but last week was the big Zinfandel Advocates & Producers (ZAP) Festival in San Francisco. I didn’t attend this year, but it’s a wine fest that holds a special place in my heart. It’s got to be the most fun-oriented/least pretentious wine event I’ve had the pleasure of experiencing. I was down there the day after it ended, but America’s grape was on my mind. I went into my write-up archive and found this one that I had tasted a month or so ago. I had picked this bottle up at the winery when Candace and I visited Napa and Sonoma back in March, 2010. In the glass it’s got a dark-dark red colour. I kept burying my nose in the glass to smell the aromas of ripe blackberry, dark chocolate, black pepper and cracked stone. You can smell the minerals from the soil. After a sip, the progression of the wine’s flavours disappointed just a bit. They start out full and ripe, but then disappear a bit and go flat… then they make a sudden reappearance with the full ripe berry fruit and a jammy, yet balanced and looooooong finish. So what we have here is a wine with a killer nose that starts out impressively in the mouth then disappears for a bit before making a memorable comeback. All in all, I did like this wine – quite a bit. I liked the dustiness and minerality that mixed in with the fruit. First things first… I’d like to thank John Clerides and the staff at Marquis Wine Cellars for putting on this great tasting. The food and wine pairings at C Restaurant made my day. From the left, that’s Graham, Caleb (the winemaker and co-proprietor at Buty), John and me (sporting a bit of a winter beard). Last summer, when Graham and I were down in Walla Walla for the Wine Bloggers’ Conference, we ran into John and as I’ve already written, he said, “Do you guys want to taste something great? Come with me.” We headed out to Walla Walla’s airport wine area and made our way into Buty Winery’s tasting room. What we tasted were some of the highlights of the weekend. So, when John decided to bring some of the Buty wines into his shop I was pretty stoked. I’ve grabbed a few bottles of the Semillon, Sauvignon Blanc and Muscadelle blend over the last month or so. It was great to see Caleb again. I always love seeing talented folks who are passionate about what they’re doing. All wines are of course available for purchase or order from Marquis Wine Cellars. Head on over to their site for the contact information. 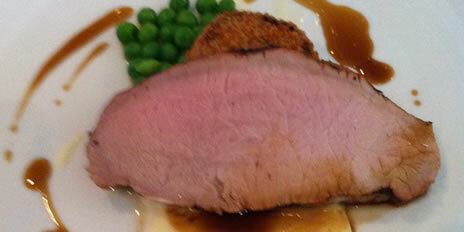 The folks at C Restaurant deserve a special mention for the fabulous food. Everything was delicious and reminded me that I should head there soon for my seafood fix. Amazing stuff. The other night I walked into Marquis Wine Cellars with an open mind – without any idea what I felt like sipping. Marquis is arguably the best shop in town to happen upon in that state of mind. Through their entrance to the right is an area piled with recent arrivals and staff picks. It was there that I found this wine. This is my first Bandol, yet I’ve had all the grapes in the mix many time before… and why not start with a single vineyard wine from what is arguably the area’s best-known winery. What’s in the wine? Well, it can vary vintage to vintage, but it’s generally 70-80% Mourvèdre, which is rounded out with an equal blend of Grenache and Cinsault. What’s it like? I loved the nose. It’s full of black pepper along with some burnt rubber (it fits better than you would think), ripe plum and dark berries. The flavours deliver on the promise of the nose. There’s so much going on with this wine – it’s so complex. There are layers of jammy dark fruit with a big backbone of black pepper and firm flinty tannins. Wow. Drink it now or in 15 years. That’s your choice. It could certainly cellar for a while. $60 at Marquis Wine Cellars here in Vancouver. Back in June of 2010, I tasted my way through Averill Creek Winery‘s lineup, so when they sent me samples from their current vintage I was looking forward to giving them a try. 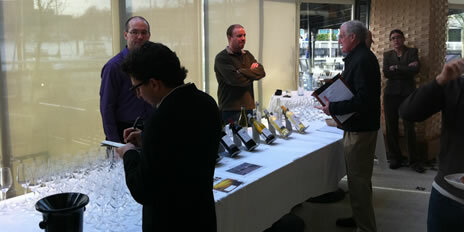 I was also looking forward to getting Graham’s take on the wines, so I set aside a couple of them for him. I won’t get into the winery’s story. I did that in my last write-up of their wines, so you can always give it a read there. So, onto the wines we go. Things have been looking up on some of the wines coming off the island, and I was really interested to give these two a go when we received these samples. Right off the bat, I liked both of these wines. They are lean with firm acidity and perhaps best of all food friendly and not trying to be something they’re not. Not pumped up, over extracted or over-oaked – just nice clean fruit. The 2008 Prevost was a pleasant surprise for me. Built around Marechal Foch, which I have found it to be a bit hit and miss in the attempt to be bigger and bolder than it needs to be. This is no such wine for certain. The choice to blend as they have with some cab, leads to a different and enjoyable glass of red.